Randy’s Mobile Mechanical Service is the premier Concord Ford F-350 service and repair center. Whether your F350 has a gasoline engine, or the PowerStroke diesel engine, our nationally ASE certified mechanics can service, diagnose, and repair most problems your Ford F350 may experience. From manufacturer recommended service, to advanced F-350 diagnostics, we are here to help you to get your truck back on the road. 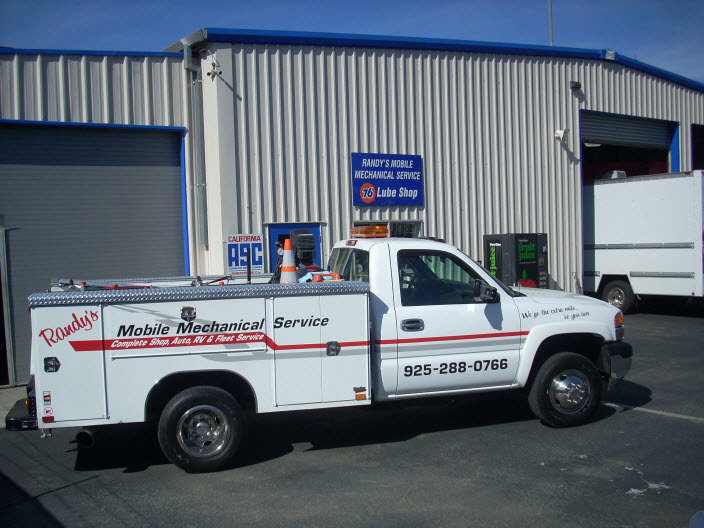 If you cannot bring your truck to our Concord auto repair facility, we can provide mobile services, including priority fleet service. Naturally, we can provide a wider range of diagnostics and repairs if you do bring your truck to our Concord auto repair shop. In addition to the regular maintenance, brake repair, belts, hoses, ac repair, and oil service, we can handle electrical system diagnostics, mechanical, fluid leaks, and major repairs. Whether your Ford F-350 has the “check engine light with the wrench” on, suffers from cooling system problems, electrical problems, the infamous egt exhaust sensor problems, needs a new water pump, or fuel pump, or any other issue that makes you question if your truck is roadworthy, bring it to us – we can help. Our shop has ample parking, and lifts capable of hoisting RVs, so unlike many shops, we can get your F350 up in the air and get the diagnostics and repairs done in an expedited fashion. So if your Ford F-350 needs some “TLC”, bring it to Randy’s Mobile Mechanical Service in Concord. Call us to make an appointment, or schedule an appointment online if you so prefer. For trusted auto Ford F-350 Service and Repair in Concord and across CA, visit Randy’s Mobile Auto Repair. Call us today or use our convenient online form to book your visit.